Don't you think the Mumbai Rail Map (MRM) looks too complex. Can it be simplified? Often we are asked this question, “the map appears too complex. Complex here is referred to as, complex in its appearance . The first time user will be overwhelmed by the amount of content in the map. Can you make it unambiguous for the first time user?” Therefore this note to understand the problem of complexity and try to step in to the shoes of the first time user. We are ourselves first time users when we travel to a new country. A few months back we travelled to the US and landed at the JFK International Airport in New York. We were expected to take the subway from JFK to downtown Manhattan. When we encountered the subway map, a diagrammatic representation of the network with all its lines, colors and its station names, it seemed too complex. Maps appear like a vast ocean of visual and textual elements jostling for space. This visual appearance of these elements coming together is obviously overwhelming. It creates a feeling of anxiety and fear for the first time user. Strangely the fear seems to disappear over time as this user travels more and more by the subway and gets acquainted with the network. Someone staying in New York from his childhood, would be less likely to be overwhelmed by the MTA subway map compared to a first time visitor (see Image. 1). 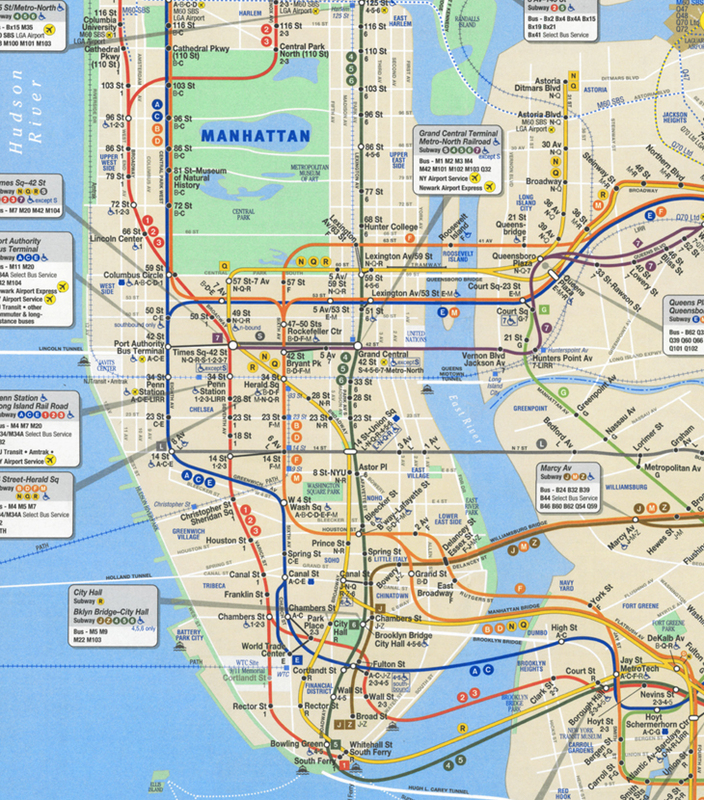 Image 1: This is a part of 22” x 32” print map of the New York Subway. Does it appear too complex? Can it be simplified? In his book ‘Living with complexity’, Donald Norman mentions about the mess on Al Gore’s office desk that is perfect for him but not for a stranger entering his cabin. There is an underlying order (of how things are arranged) to which Al Gore is familiar with, but the stranger entering his cabin is not. If we draw an analogy to the mess on Al Gore’s office desk towards the arrangement of elements in a map; the map for the first time user obviously appears complex. But as the user begins to travel on the rail network, he understands how the map is laid out. Then for the same user, the visual complexity seems to disappear and the content becomes approachable. Quite strange. This is because, with frequent travel, his conceptual model about the network as a whole gets clarified. 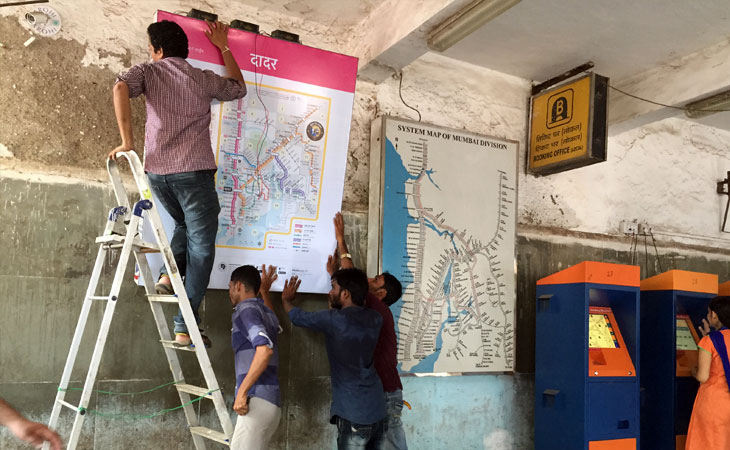 We found that people who have lived in Mumbai and have travelled on the network are not overwhelmed by the appearance of the map when compared to a person who has never been to Mumbai. Familiarity and perceived complexity seem to be related. The description of the first time user cannot be rendered monolithic, as it has its own facets and variables. Therefore, understanding him seems to be most critical. Lets articulate how may kinds of first time users exist, because their past knowledge and experience will affect the manner in which they would process information. Whenever we design something for someone, we try to describe our audience. Describing the audience helps us rationalize our design decisions. The more number of users we accommodate the tougher it is to crack the solution. In the design of public information systems, we cannot eliminate any section of the user group and therefore look for solutions that are inclusive and universal. 1. User is comfortable with reading one of the three languages (English, Hindi, or Marathi). 2. Understands use of alphabetical order or does not (requires training). 3. Knows how to read a map using the index and the grid or has no idea. 4. Was taught how to read a map but cannot recall. 5. Has travelled on the other rail line network but never travelled in Mumbai Locals, or has never travelled on any train network ever (just landed). Functions of and expectations from the MRM print map. What should the first time user seek from the map? Ideal expectations. 1. Search/locate, current station or journey start station. 2. Search his destination station. 3. Get to know the station codes and the line on which the station lies. 4. Track the route from starting station to destination station. 5. Transfers on the charted route (If any). If everybody, at some point in time, was a first time user then how does past knowledge and experience help? There are two ways that reduce the fear or anxiety of reading a map. 1. The ‘You Are Here’ indication on the map acts as an anchor point that the commuter uses to orient himself within the map. Once the user is oriented then he/she knows where to start from. A point to start from is the most important, since these are (YAH) You Are Here maps. All maps should have a YAH, if they are posted at a location. This means that if the user knows how to look for information in the map, anxiety will reduce. Anxiety is not only about reading the map, but can be about how to travel, what is the fare and how do I get the ticket, when and where is my train. When more information is hidden from the user the more uncertain and anxious he will be. That means not providing a map (information) at the station is to begin with uncertainty and invite anxiety. In India, we say people manage. People manage because they have no choice. The truth is that they have to. 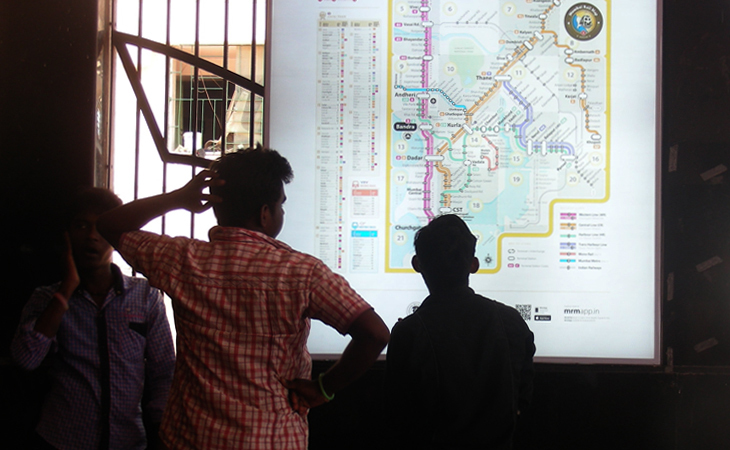 What does the designer of the map do to reduce anxiety: Rail Maps as network Diagrams. Designer of the map cannot delete/reduce content to resolve complexity. The designer of the map uses visual (syntactic) techniques to simplify and abstract geographic detail in order to ease comprehension. He prioritizes information and creates layers as per the user order (need). In other layout tasks, designer has the freedom to reorganize the elements to ease readability. In a map, the position of visual elements are fixed to their geographic location and if the designer tries to modify the geography to his benefit then the geography gets skewed. This modification of geography into an geometrical diagram is an act of creating a fine balance between reality and abstraction. 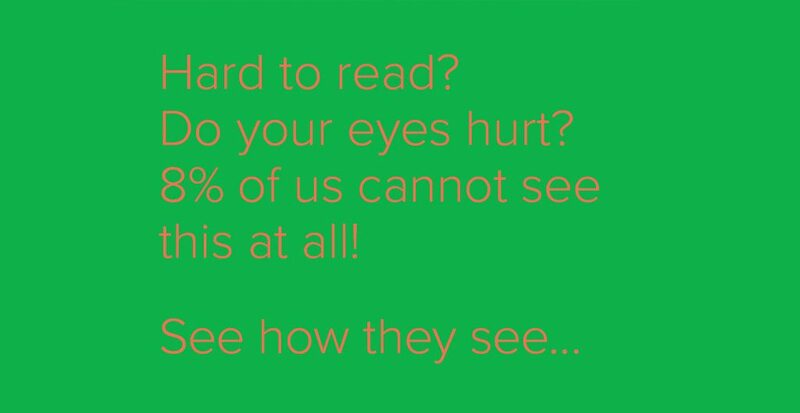 This is the challenge that a designer grapples with. Doing away with geography completely or modifying it beyond an extent can create problems in usability and the designer should be extremely careful. Image 2: Part of the New York Subway map, designed by Massimo Vignelli, which shows the Central Park (area marked in grey) to be squarish, a distortion of its almost 1:3 proportions (see Image 1). The map for first time users will appear complex, no doubt. Imagine encountering the New York Subway Map for the first time and the anxiety it will create. No wonder that the MRM also faces the same. Familiarity and repeated encounters builds as well as changes perceptions. 1. Bierut, Michael. “Mr. 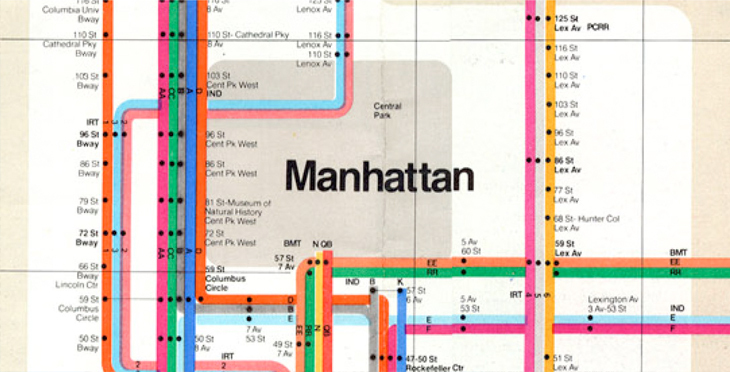 Vignelli’s Map”. The Design Observer Group. 10 Oct. 2004. Web. 1 June 2015.